May 22, 2015 by Ecommerce News. About Launch with tags France. 4809 views. 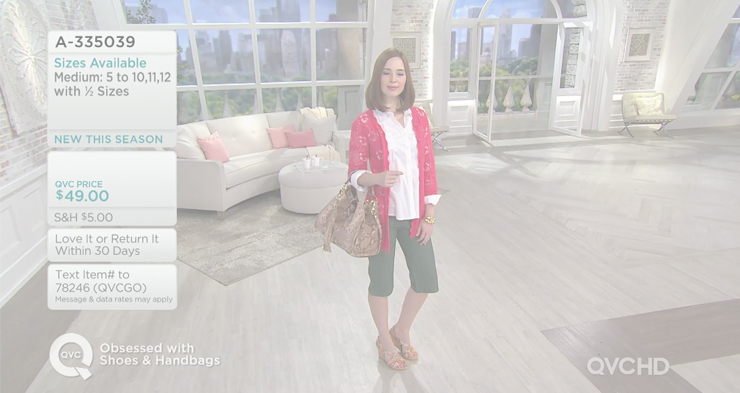 The American home shopping channel and website QVC will launch a dedicated ecommerce site in France in June, while airing will start in August. After the United Kingdom, Germany and Italy, France will be QVC’s fourth market in Europe. According to Steve Bridgeman, CEO of QVC France, now is the right time for the company to enter the Western European country, he told WWD. “France is a mature market digitally.” The launch of the website from QVC (which stands for “Quality, Value, Convenience”) is scheduled for mid-June, while the television channel, which will be visible to 13 million households, is set to be launched on cable networks, satellites and via ADSL from early August. The French website Ouest France says, while the French teleshopping market is being dominated by TF1 and M6 – which both lobbied to get a shopping channel on Télévision Numérique Terrestre (the national digital terrestrial television service) without ever succeeding – the arrival of the American industry experts could reshuffle the cards. QVC has already invested tens of millions in the French market. With offers in product categories like cosmetics, jewelry, home & garden and fashion, the home shopping company will target a group of women over 35 years who do not necessarily have time to shop in stores. In an interview with Bloomberg last year, QVC’s chief executive officer Mike George said he didn’t worry about entering a “heavily regulated country with a stagnant economy”, as the news agency put it. “George said he couldn’t care less about sluggish economic growth or high unemployment. He’s done it before. The company bucked conventional wisdom more than three years ago when it entered Italy during a steep recession”, Bloomberg wrote in 2014. Although according to George a lot of people though they were crazy to launch in Italy, sales in this country have more than tripled in the past two years. Bloomberg thinks this gave QVC confidence to enter the French market. QVC was founded in 1986 and has about 10 million customers worldwide. It achieved 5.4 billion euros worth of sales in its home market the United States and 7.95 billion euros worldwide. If you want to see what QVC does on television, they have a live stream you can watch on YouTube.